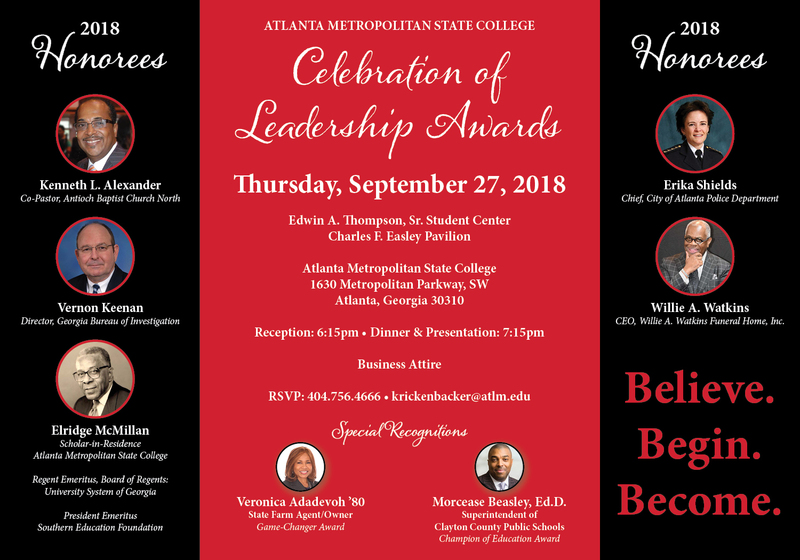 To be in good academic standing, a student at Atlanta Metropolitan State College is required to maintain an acceptable cumulative grade point average (GPA). The minimum acceptable cumulative standard GPA is 2.0. Maintaining good academic standing is critical to college success. There are two primary areas that academic standards apply: Financial Aid and Academic Performance. Students who are in Good Standing are required to meet with their Faculty Advisor for Academic Advising. The Higher Education Act of 1965, as amended by Congress in1980, mandates institutions of higher education to establish minimum standards of satisfactory academic progress for students receiving financial aid. All students receiving financial aid from federal, state or institutional sources must conform to the College definition of satisfactory progress. All students will be held responsible for this information. Each student's academic progress will be monitored upon the initial financial aid award for each academic year and each time the award is adjusted or updated thereafter. At a minimum, academic progress will be measured at least once per academic year. complete 67% of all hours attempted. Students should be aware that withdrawals (including hardship withdrawals), incomplete, repeat classes and IP's count as attempted hours in the SAP calculation. Federal guidelines mandate that a student cannot receive more than 150% of the total number of credit hours required to obtain the student's degree. The total number of hours is determined based on the studen's major. For example, a student whose major is Pre-Nursing cannot receive financial aid for more than 99 total credit hours. The first semester that a student's cumulative GPA falls below 2.0, the student will be placed on Academic Warning for the next semester. Students who are on Academic Warning are required to meet with an Academic Advisor. The status of Academic Warning will be changed to good academic standing when students have achieved the minimum acceptable GPA. Students who are on Academic Warning are required to meet with an Academic Advisor. If, after the semester of academic warning the studentâ€™s cumulative GPA remains below the required standard, the student will then be placed on Academic Probation for the following semester. Students on Academic Probation may continue on probation if they show academic progress by achieving at least a 2.0 GPA each semester, until the cumulative GPA reaches the minimum acceptable standard. Students who are on Academic Probation are required to meet with an Academic Advisor. The status of Academic Probation will be changed to good academic standing when students have achieved the minimum acceptable GPA. Students who are on probation will be placed on Academic Suspension for one semester (exclusive of the summer term) if they do not maintain a semester GPA of at least 2.0. Students who are returning from Academic Suspension or Academic Dismissal are required to meet with the Director of Academic Advising for assistance. Students who are readmitted after academic suspension must maintain at least a semester GPA of 2.0 to be eligible to register for the next semester. Students who return from suspension, but do not maintain a semester GPA will be placed on Academic Dismissal for three semesters (exclusive of the summer term). Students who are dismissed must petition the Vice President for Academic Affairs to apply for readmission. Please review the College Catalog for more details. Students who are returning from Academic Suspension or Academic Dismissal are required to meet with the Director of Academic Advising for assistance.